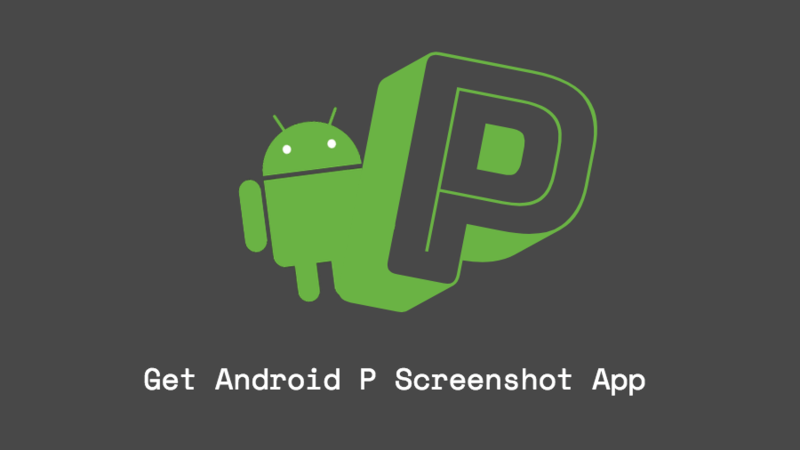 Google has officially released Android P’s developer preview which has lots of cool features. One of the most useful features is its built-in screenshot editor which allows users to edit their screenshots. 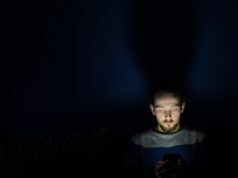 Even though the masses will have to wait for some time before they could get their hands on the latest Android version, the best part is that almost any Android user can download the new screenshot app on their phone. This screenshot editor named “Markup” offers options to crop and doodle on the images in different colors. Let us take a look at how to download and use this app. You can download the APK file from this XDA thread and install it on your Android phone. This app works on almost any device regardless of specifications given that it has a fairly recent version of Android running on it. 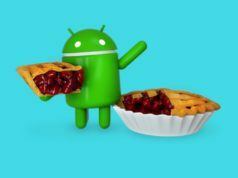 Installing its APK file is quite easy, and most of the users must be familiar with it. 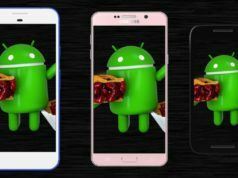 The app runs smoothly on any 64-bit Android device and even some 32-bit devices. 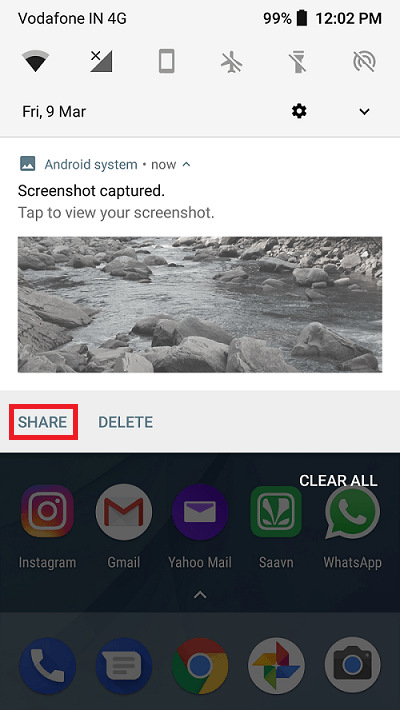 In order to use Markup, you will have to take a screenshot and tap the Share option from the notification menu. On the share menu, you should be able to see the Markup app as an option. 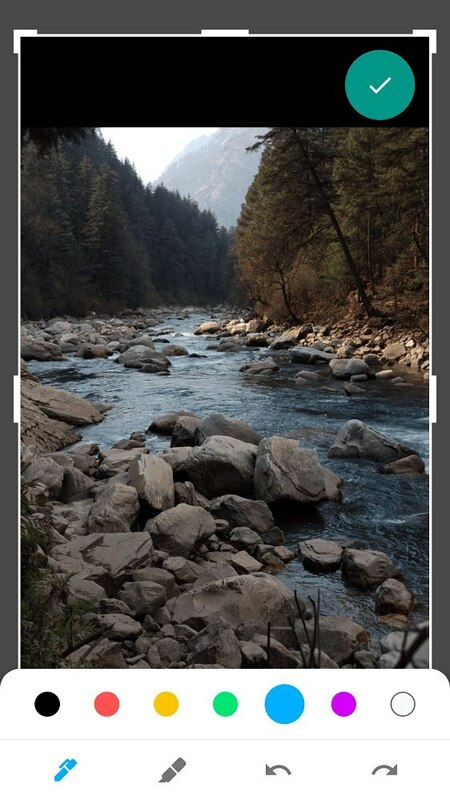 Selecting this option will take you to the editor app where you can crop or doodle on the pictures with seven different colors. One can find a pen and a highlighter on the screen with different brush thickness for easy doodling. Although cropping the bottom section of the image can be a little tricky initially, but with some practice, one can get the hang of it. Once you are done with editing the image, select the tick icon on the top right corner to autosave your edited image on your phone. 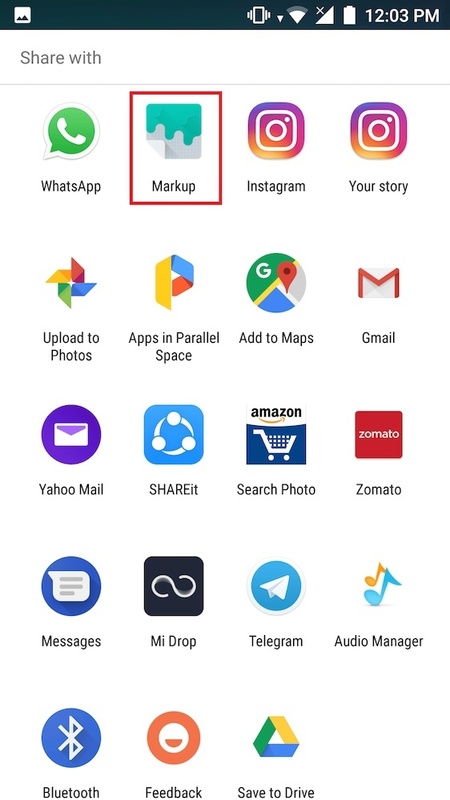 Since the Markup app was ported from the Android P’s first developer preview by XDA member Quinny899, it comes with limitations such as the inability to share the image directly after editing. Overall, Markup is a great app in spite of its few shortcomings so download it right away and enjoy editing your screenshots. Also Read: How To Use uTorrent Web To Download And Stream Torrents In Your Browser?